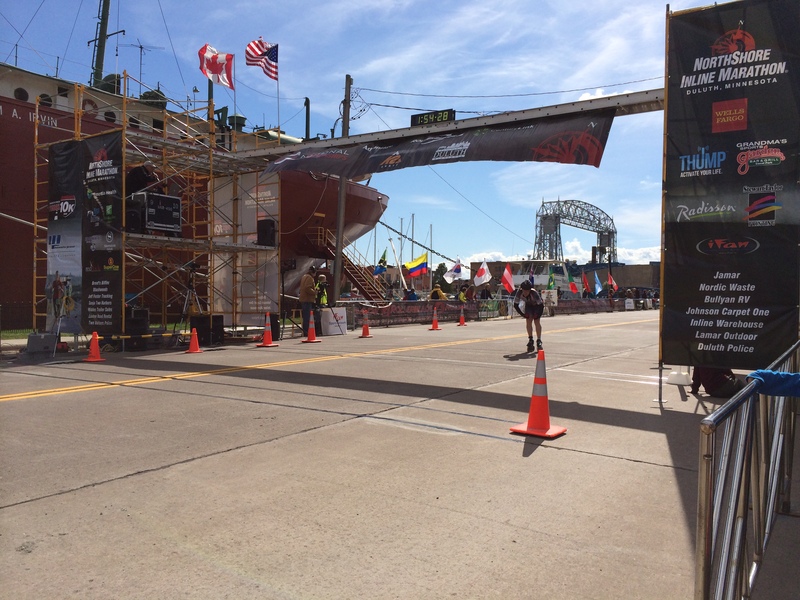 This entry was posted on Saturday, September 20th, 2014 at 8:49 pm	and tagged with camera video, Contour+, event, events, health, marathon, marathon race, NorthShore Inline Marathon, race and posted in Events, Skating, Technique. You can follow any responses to this entry through the RSS 2.0 feed. Great race report! Well done on stepping up a wave and hanging with them for as long as you did in your weakened condition. The video is amazing too – I would be very interested if you could write a summary of the equipment and software that you to make it. I’ll hopefully be getting a headcam and would very much like to something similar. Thanks Van. It was a tough race. As for the videos, I shoot the video with a Contour+ action camera with the vented helmet mount (basically a mount bracket with nylon straps that go around/through the vents on my cycling helmet), and capture the GPS and HR data with a Garmin Forerunner 410. I did a write up on how to make the videos in this Post. The post is now out of date. Version 12 of Lightworks is out, which removes the need for EyeCam Video Converter, which is great because it removes a step in the process. I found CycleCam to be a bit limiting in terms of how you could use the data and render gauges. You are stuck with what the program provides for gauges and data calculations. I have since moved on to using DashWare for making the gauge overlays. This program is far more cumbersome to use than CycleCam, but provides a lot of additional options for gauges, including permitting you to custom design gauge clusters. It also costs money, which was part of the reason I did a how-to with CycleCam because I wanted to make sure anyone could make this kind of video with free software. Recently, it has become clear that it is easier to design the gauge overlays with a blue screen background rather than a green screen background. The process is the same, you just adjust the color in the Effects Tool for chroma key in Lightworks to convert the blue rather than the green, which is accomplished with the slider on the top of the bin for the effect.